This weekend was pretty low key for me. 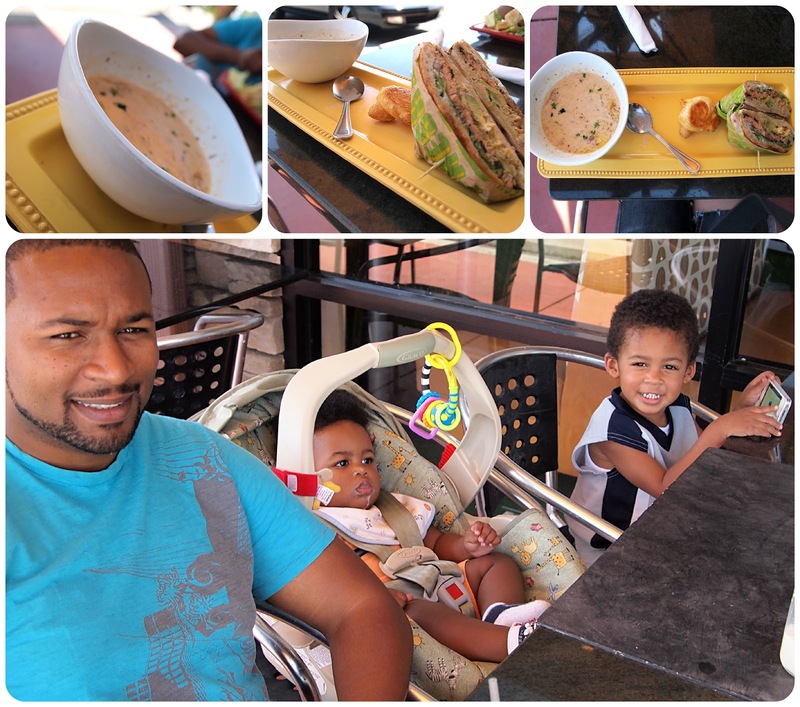 Sunday, me and the fam were out and about and had a really nice outdoor lunch at one of my fave "kinda' restaurants" called F2O (Fresh to Order). There are several of these around town. I say "kinda" because the food and interior is what I consider as full restaurant quality, but it's one of those places that you place your order at the counter, they give you a number, you go seat yourself, and they bring your food out to you, and that's it. Anyway, they have one of the best salmon paninis and their wild mushroom soup is to die for. Obviously that's my plate you see. And just a quick shot of my boys! Please disregard Cruz's milk mouth. Lastly, I was wondering if any of you have tried Target's little "gourmet" frozen pizzas they sell by Archer Farms? 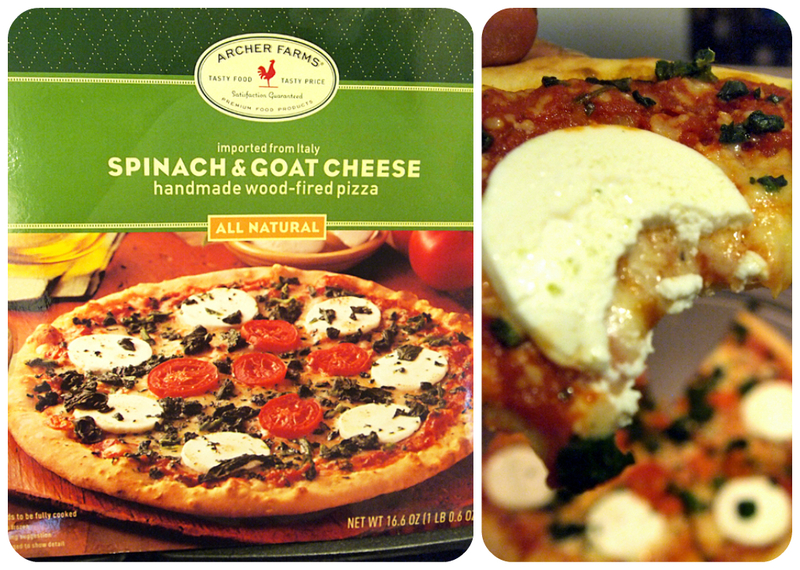 Well, I tried the spinach & goat cheese as you can see. They are usually sold out in my local store, actually. I have a fetish for goat cheese which is why I went with this one, but they have other varieties. I have to say, this pizza was pretty darn good, especially for a $3.99 pizza. The only thing I would change are the "disks" of goat cheese--it makes it look factory made. lol They should try making it look more like dollops instead. I'll definitely keep one or two of these in the freezer for quick fixes in the future. Well, hope you all had great weekends! What did you do? I have a confession, I secretly LOVE the Target Deli/Cafe. I sometimes go there for lunch during the week. This pizza might be a bit too fancy for my bla taste budz but Ima see what other kindz they have. i am putting that pizza on my grocery list!yum! I went out with my girls on Friday and then the rest of the weekend we didn't do much of anything besides exercise. Your oldest boy is soooo cute and 'grown' up now. Oh and your husband has some strong genes. I thought your oldest was ALL you. We've actually tried that pizza and just thought it was okay. We both preferred the cheese was broken up better too.